Figgy has two problems. One is her name. Nobody in Ghana has that name. The other is that her grandmother is ill and needs special medicine. Figgy cant do much about her name, but she can do something for Grandma Ama. She will go to America and bring back the medicine, and Kwame, her special goat, will go with her. Out in the wide world she will meet some bad people, but she will also find good friends. Figgy has the most fantastic outlook on life. She really only has one complaint, and that’s her unusual name. The rest of her considerable energy is spent pondering the big wide world, until one day her thoughts are taken over by a conversation she overhears in which she learns that her beloved grandmother, who’s raised her, is very sick. So begins Figgy’s quest to travel from Ghana to America, where she’s heard she can get the best medicine. Her only companions are her pet goat and a boy her age who becomes like a brother. Written by a young Australian who has worked with children in Ghana, this really is an impressive debut. Figgy’s rationalisations about the world are a hundred times nicer than the truth – she’s a charming Pollyanna-type who will melt hearts. Her world is harsh but she puts a positive spin on everything. 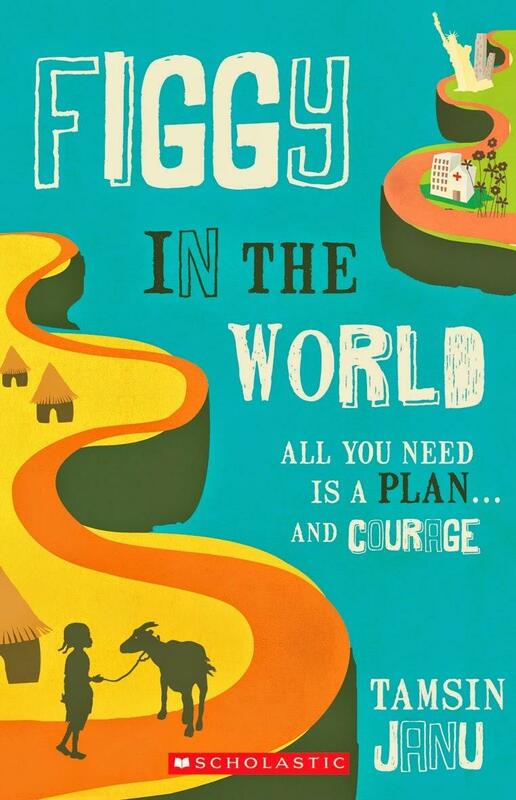 Figgy in the World is uplifting and funny, and highly recommended as a family read or independently for ages 8 and up.